A few weeks ago I finished up a dress and cloak which I named my “Dewdrop Series” because it was based off of the blossoms and greenery of spring. 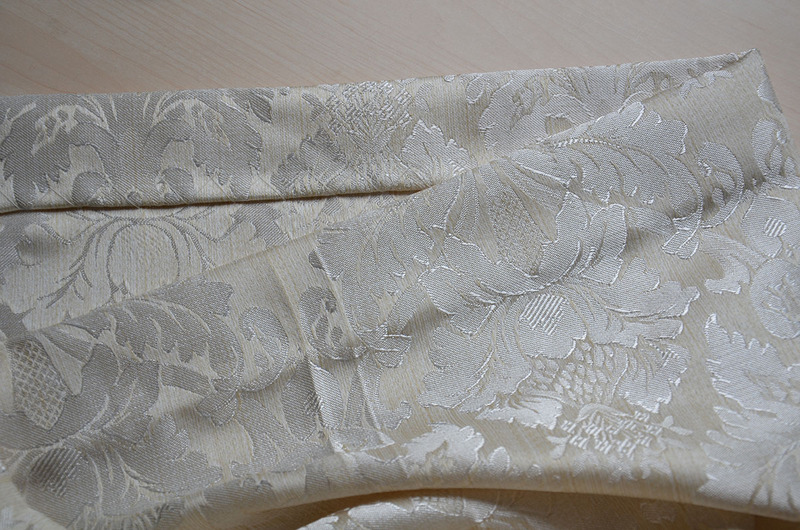 I ended up with two yards of leftover ivory damask, and a few yards of remaining velvet. 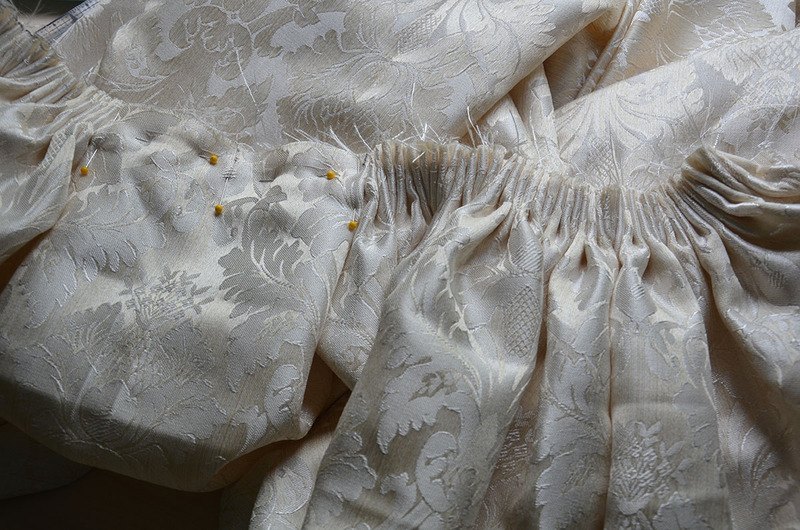 My original plan was to use the remnants to make a fancy 18th century suit, but the damask proved to be far too delicate (and prone to fraying) to make into a jacket, so that wouldn’t work. The fabric really needed to be used for a dress. After a bit of sketching I decided on a really simple design, so simple that I figured I would make it right away. I mostly wanted to have it completed so it can be photographed along side the other pieces in this series, but I MIGHT have been procrastinating on all the other things I have in progress. I wanted this dress to be more modern then the original but I still wanted it to be cohesive, simple, and a little unusual. I decided on a strange kind of “spiky” neckline, a visible waistband, and a skirt half the size of the original but pleated the same way. I originally wanted it to have a train too, but I only had two yards of fabric so that didn’t end up happening. 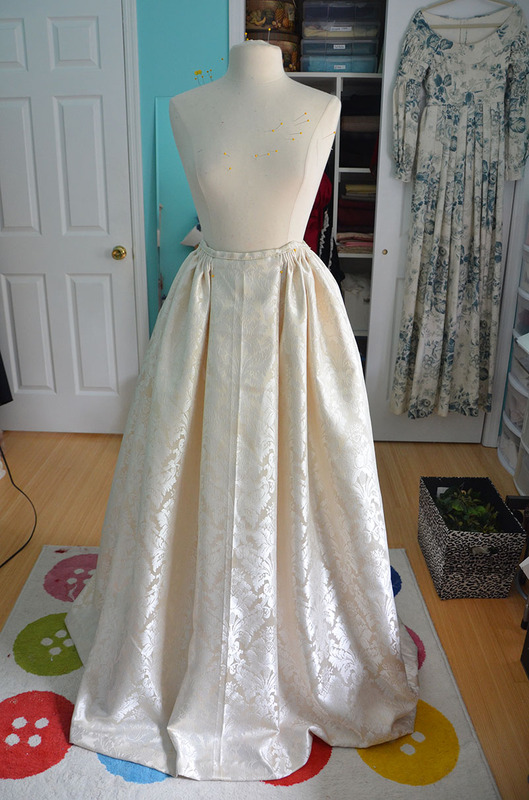 This post is going to focus on the skirt, next post will be about the bodice. 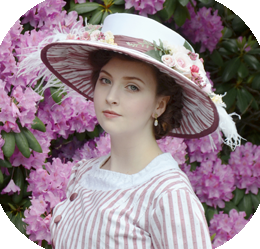 The skirt was one big rectangle, cut to be one hundred and twenty inches wide, which is the same width as this material – if the fabric was less wide there is no way I would have been able to make this dress with two yards of fabric. I didn’t have any side seams to do, so I got straight to the pleating! Step one was cutting long strips of lightweight quilt batting. 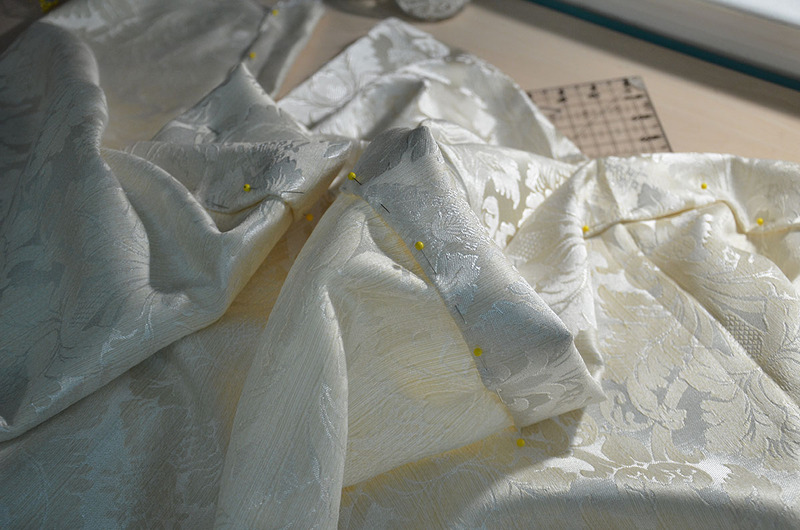 I learned a lot from making the first dress in this series, this time around I whip stitched the strips together so there was no added bulk at the seams. I also didn’t mark the lines on these like I did the first time around. The ink was prone to rubbing off, and it was terrifying touching white fabric with blue hands! I’m also pretty good at eyeing it, so I decided to be brave and trust myself. Then I sewed these on by hand with a really large basting/running stitch. 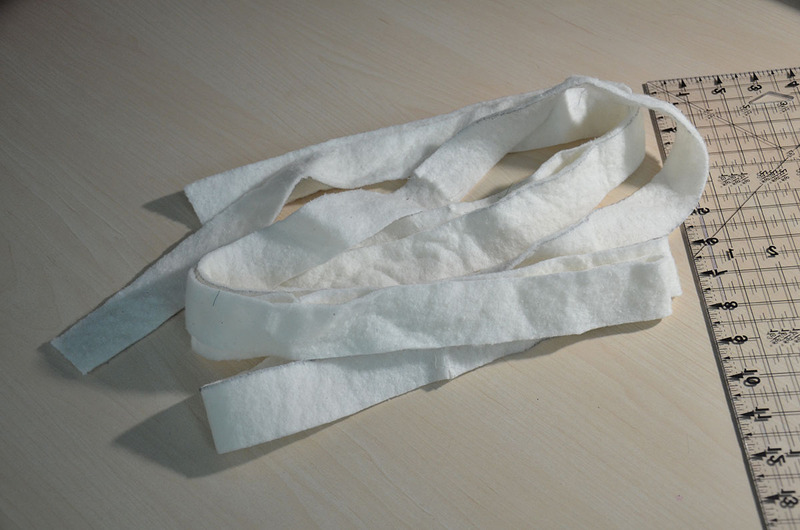 The first time around I used my machine and it sped up the fraying process which I did not want! The only lines I marked were for the large box pleat in the front. 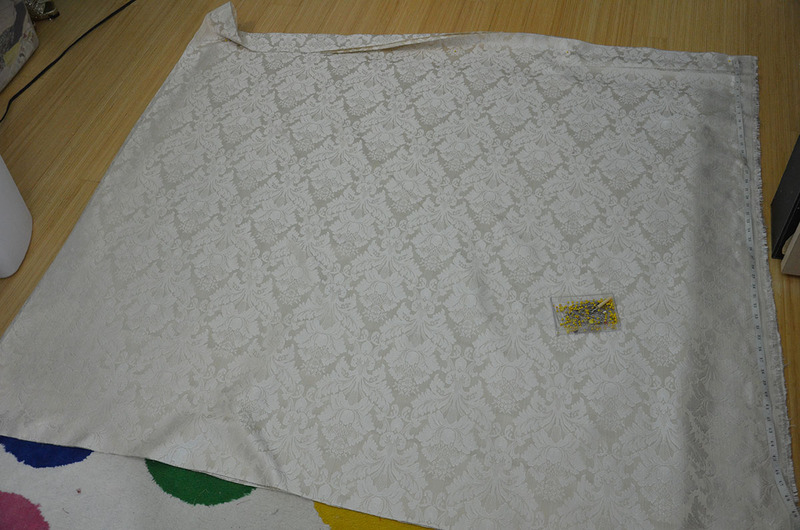 Then I hemmed the whole thing using the same method I use in most of my dresses. Doesn’t that look pretty? Slash that, it’s not supposed to look pretty, it’s supposed to look invisible. Then the pleating began! 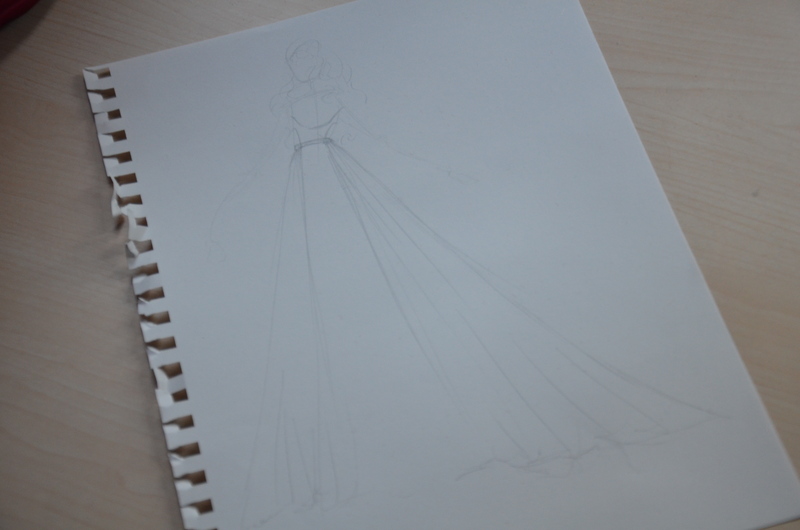 This went so much faster then my first dress, I think it took one sixth of the time or something crazy like that. Even a bit of practice makes such a different when using new techniques. 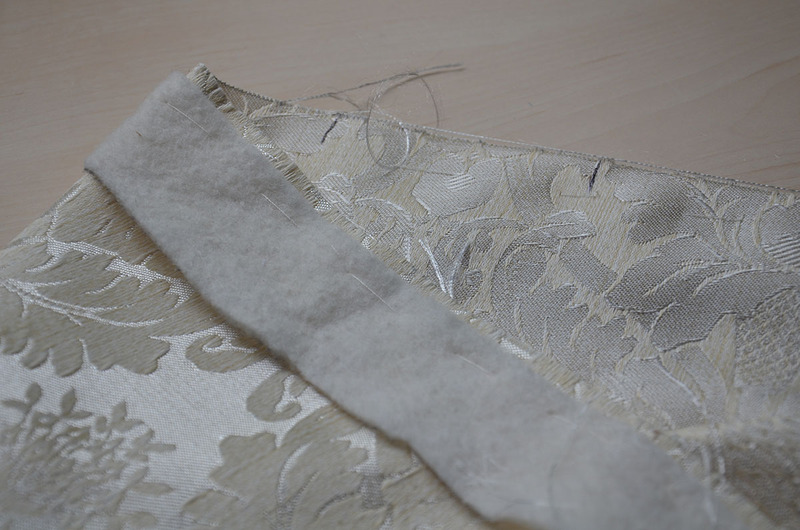 You may also note I didn’t add bias tape, so it’s fraying a lot. I did this on purpose because last time I ended up with a ton of extra bulk at the waist due to sewing on bias tape BEFORE my cartridge pleats. This time I did it afterwards and the end result is much nicer looking and more practical too. And that was pretty much it when it comes to the skirt. Aside from a back seam (which can’t be done until it’s attached to the bodice) it was finished! I remember a tip for invisible hemming where you place a bath towel (maybe folded) under the dress next to the sewn hem. This prevents there being a ledge between the thickness of the hem and the body of the piece. When you press it should help from accentuating the appearance of the hem. Not sure of that helps. As always I love your posts, the video the other day was great. Amazing- I so enjoy your blogs- love that you are so passionate and so very talented and creative..Thanks for sharing…amazing girl…. I love your posts!! 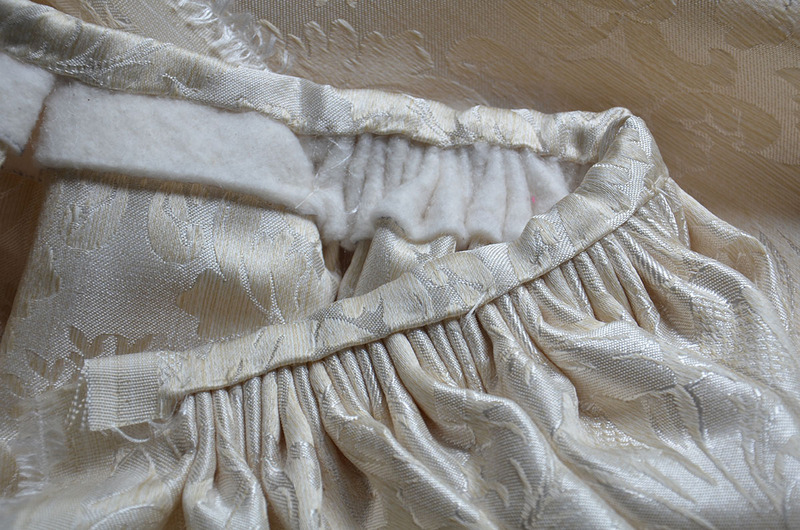 I am going to try your pleating/gathering method the next time I make a baby tutu dress. That will eliminate the need for a lining by using a piece of bias to enclose the gathers!! I will link to your blog when I write about it because you are my inspiration!!! Right now sewing is on the back burner as I work to house train an 8-week-old Airedale. She, Jasmine, is sweet and smart so if I work to train now, she will be a much better companion! But… I MISS MY ART STUDIO! !